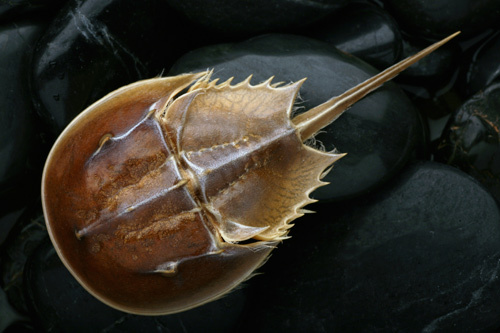 The Atlantic horseshoe crab has found allies in the biotech community. Here’s why. The Atlantic horseshoe crab, Limulus polyphemus, dates back 445 million years, making it one of the oldest creatures on Earth. It is still a matter of some debate precisely why horseshoe crabs have remained the same over time and survived mass extinctions unscathed. (After all, we weren’t there.) But many scientists agree that the vivid blue-colored blood of the horseshoe crab likely played a role in its survival. The blood coagulates when it encounters bacteria, enabling the horseshoe crab to “wall up” wounds and rapidly isolate infectious agents before they can spread. The ability of horseshoe crab blood to detect bacteria has served as an invaluable biomedical resource for people worldwide. Limulus amebocyte lysate (LAL), an FDA-licensed reagent that utilizes the clotting enzymes that are extracted from the blood, is the most sensitive, accurate, and reliable indicator of its kind. Much of the continued survival of the Atlantic horseshoe crab can be attributed to its inherent adaptability; however, in some areas along the Eastern seaboard, notably the Northeast, horseshoe crabs have been taken in substantial numbers to provide bait for fisheries, primarily including American eel and conch fisheries. But here in South Carolina, conservation of the horseshoe crab has been a major focus almost since James Cooper, Ph.D.—a pioneer in gel-clot LAL technology—founded Endosafe in 1987 to manufacture and distribute LAL products. (Endosafe was purchased by Charles River in 1994.) In fact, it was Cooper and his wife, Francine, who led some of the earliest efforts to protect horseshoe crab populations in South Carolina where the company was based. Prior to 1991, there were no laws or regulations in South Carolina protecting horseshoe crabs. In 1992, Cooper drafted the first legislation calling for the management and regulation of horseshoe crab fisheries, permitting horseshoe crabs to only be used for biomedical applications (LAL production) and marine biological research, but not as bait for the eel and whelk (or sea snail) industries. As a result, horseshoe crabs are more protected in South Carolina than anywhere else in the world. Today, we collect blood from horseshoe crabs under highly controlled procedures that help ensure the donor crabs are returned to their natural environment unharmed. We are committed to employing only fishermen licensed by the Department of Natural Resources to hand harvest horseshoe crabs (as opposed to trawling). Trained employees inspect the crabs once they are brought into our lab, where only measured amounts of blood are harvested from healthy adult crabs. They are released back into the wild the same day they're collected. Once returned to the water, the horseshoe crab's blood volume rebounds very quickly. Our own rapid testing technology, the FDA-licensed PTS™ cartridge, further safeguards this 445-million-year-old species by using 20 times less raw material than traditional LAL tests. As the Endosafe scientists have refined their technology over the years, the amount of raw material needed to perform an LAL test has steadily declined. For example, the kinetic chromogenic assay (KCA) uses 50% of the raw material used in a conventional gel-clot test. The new Endosafe®-PTS uses less than 5% of the raw material of a gel-clot test. Regional and state surveys suggest that the horseshoe crab population is stable, if not increasing, in South Carolina, which in the long run will benefit both humans and marine life. John Dubczak is the general manager for the Endotoxin and Microbial Detection division of Charles River Laboratories and also blogs for Charles River’s science blog, Eureka. For more information, write to SocialMedia@crl.com.